French investigative website Mediapart cited documents from the latest series of Football Leaks allegations. 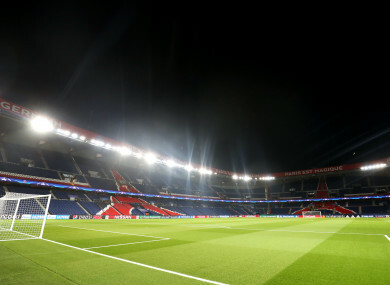 A general view of the Parc des Princes, where PSG play their home matches. PSG didn’t want us to recruit players born in Africa, because you are never sure of their date of birth,” he was quoted as saying. The player in question — a French youth international born in the Ivory Coast — eventually signed for Rennes. The matter “caused a swirl within PSG”, said Mediapart, citing the minutes from a meeting on 14 March, 2014. The alleged comments caused upset, with Mediapart saying Pierre Reynaud — in charge of youth recruitment in the Paris region — saying “it must not be a question of ethnicity but of talent”. Complaints were then made to the club’s HR department, and Westerloppe — now at Rennes — was summoned to a meeting in which he rejected the accusations against him as “false, malicious and stupid”, according to Mediapart. Olivier Letang — then PSG’s sporting director and now the president at Rennes — responded to the claims by saying he was “profoundly shocked and hurt”. The objectives set regarding recruitment at the youth academy never varied: it was always about signing the best young players with the aim of getting them into the first team,” Letang told AFP. Email “PSG open probe into claims of racial profiling of young players”. Feedback on “PSG open probe into claims of racial profiling of young players”.